The fuel system is key to your car running smoothly. 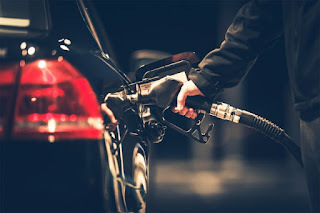 The fuel system fees the engine the gas/diesel it requires to run and if any part of the fuel system isn’t running properly it can lead to major problems. This is where the fuel is help. The fuel reaches the tank via the filler tube. There is a sending unit that send information back to your gauge about the amount of fuel you have. If this sending unit stops functioning your will not get an accurate reading of how much fuel you have. If your fuel gauge stops working the problem will be either with the gauge itself or with the fuel sending unit. In the newer vehicles the fuel pump is almost always inside the fuel tank. On older vehicles it is attached to the engine or on the frame rail. If the fuel pump begins to malfunction your vehicle can stumble and run very rough. If the fuel pump fails your vehicle will not run. Most modern fuel pumps can be heard when you turn the ignition key on. If you do not hear the pump running and your car won’t start it could be your fuel pump. A clean fuel filter is important to the performance of your engine and its life expectancy. Fuel injectors have very tiny openings that can quickly become clogged so the fuel filter stops these particles from getting through. If your vehicle has high mileage change the fuel filter annually. For new vehicles follow the manufacturer’s direction. Signs of a clogged fuel filter include sputtering at high speed or the engine not starting. This is the most common problem with the fuel system. Since 1986 most domestic cars have been fuel injected. The fuel injector is a tiny electric valve, which is opened and closed by an electric signal. Dirty injector happen over time deposits sneak by the fuel filter. This can cause fuel injectors to stick open sending too much fuel to the engine or to become plugged sending to little fuel to the engine. The use of a regular fuel system cleaner helps to keep the injectors clean and can be purchased at auto stores, department stores, and most gas stations. Put it in your empty tank and then fill up. This will clean your injectors. Repeat every 3 months. You may be surprised to learn that it does matter where you buy your gas. You should always purchase from a well known recognized national brand. Gas stations with no affiliation buy what’s left on a truck at the end of the day and the mix can make some vehicle run badly. Also any water in the gas will cause your engine to run poorly and it will promote rust development in your fuel system. When it comes to octane upping the octane is a waste of money unless the car manufacturer specifically recommends it. You will not get better gas mileage or better performance. For most of us the lowest octane at the pump is all that the vehicle requires. Make sure you tighten your gas cap. When your cap is lose or missing gas will evaporate off, so make sure your cap is tight. Did you know if you park in the sun you will experience fuel loss due to evaporation, so park in the shade. Don’t bother topping off your gas tank. When the automatic nozzle clicks off stop pumping otherwise it slops around and seeps out, which is a waste of your money. Properly inflated tires means better gas mileage. Underinflated tires means poorer gas mileage. Keep your engine tuned up. A properly tuned vehicle can boost your gas mileage by about 5%. A misfiring spark plug can reduce your fuel efficiency by as much as 30%.